If you are using hydrocodone to treat a medical condition and have become aware of these symptoms, hydrocodone detox should be looked into immediately. The statistics relating to hydrocodone use in the United States are staggering. 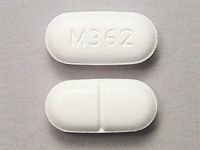 And with 5 mg of hydrocodone providing the pain-reducing equivalent of 30 mg of codeine, the strength of the drug has made it a popular treatment for mild to moderate pain. This tremendous amount of use and the drug's addictive properties have caused an increased demand for quality hydrocodone detox programs. Hydrocodone is a powerful narcotic painkiller that is highly habit forming, easy to procure, easy to store and hide and very dangerous. It is a semi-synthetic opioid, similar in structure to codeine. This medication is an oral narcotic analgesic (pain blocker) and antitussive. Hydrocodone is commonly available in tablet, capsule and liquid syrup form. As a narcotic, it relieves pain by binding to opioid receptors in the Central Nervous System, thus blocking communication between nerves. When taken with alcohol, hydrocodone may cause drowsiness. Hydrocodone can be habit forming and lead to psychological and physical addiction. Tolerance to this drug can increase very rapidly if abused. Addicts receive an euphoric 'high' when consuming higher than recommended doses of hydrocodone containing drugs. However, the amount of drug required to achieve said 'high' must be increased, rapidly, from the outset of abuse, as a result of the rapid tolerance that the abuser develops to the drug. Severe overdose may lead to circulatory collapse, cardiac arrest, and death. Legally, hydrocodone is only available by prescription. However, illegal trade of the drug has expanded rapidly, resulting in hydrocodone becoming an easily procured recreational drug. Even still, it should be made clear that it's possible to become addicted to hydrocodone even through prescribed usage. Hydrocodone detox is lengthy and should be administered by healthcare professionals. Withdrawal from hydrocodone addiction is difficult and often painful, but symptoms can be managed and minimized in a medically-supervised detox center. For severe cases, hydrocodone withdrawal can begin within seven to ten hours. The severity of the hydrocodone withdrawal symptoms can elevate for 24 to 72 hours before stabilization begins. Hydrocodone detox withdrawal usually lasts for ten to fourteen days. The most successful hydrocodone detox programs are administered by professionals who are trained in the areas of addiction medicine, withdrawal and pain management. While the detox, withdrawal and recovery process is lengthy, the amount of time it takes to become addicted to hydrocodone is not. In many cases, one can become addicted to this medication in anywhere from one to four weeks depending upon the individual and the individual's medical profile.